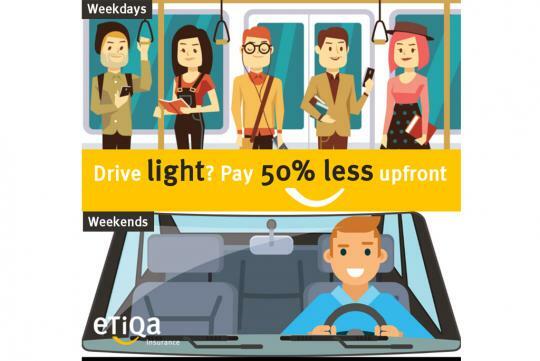 Insurance arm of Maybank Group, Etiqa Insurance, has launched an affordable usage-based car insurance ePROTECT sMiles in Singapore, providing 50 percent premium savings upfront and potentially saving customers close to $500 annually (based on scenario example illustrated in infographic below). Following the wider interest and usage of Usage-based insurance (UBI) in Singapore, the launch of ePROTECT sMiles supports the insurer’s mission to embrace changes and create customer-centric products that better tailor to their needs. This new car insurance solution rewards drivers who drive less with upfront premium savings while still enjoying the same comprehensive car insurance coverage. Designed to provide more choices and value for drivers, ePROTECT sMiles adopts a 'pay-as-you-drive' model. Utilising telematics app technology to measure the driver's travelled distance and provide driving tips, the usage-based car insurance plan differentiates itself from traditional car insurance as a solution for drivers who spend less time behind the wheel, who will no longer overpay for car insurance. Unlike other UBI car insurers in Singapore that track and review the driver's eligibility for premium savings beforehand, ePROTECT sMiles provides savings from the start with a transparent plan and payment model which starts with a low base rate. Drivers receive 6,000km mileage a year in return for 50 percent savings on their car insurance premium. This mileage is broken down into quarterly mileage of 1,500km. 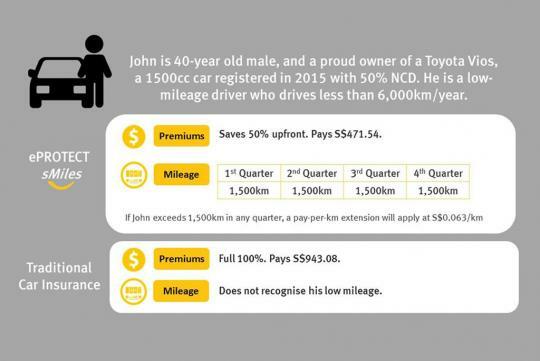 If the driver exceeds the allocated 1,500km in a quarter, he has to top-up his premium at S$0.063 per kilometer. At the end of the quarter, his bill will be the base rate plus how many kilometers he drove at his per-kilometer rate. Several factors may influence each driver's rate, including age, type of vehicle, and driver history. 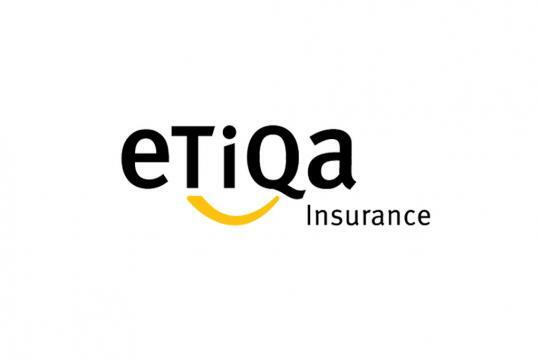 Using Etiqa's telematics system to enable smart tracking, the driver's journeys are recorded via the Smiles by Etiqa Insurance app and a small Bluetooth beacon device provided. For every journey, the app will also measure the smoothness, anticipation, cornering and speed, subsequently generating a trip score from one to five with a map showing the areas of good driving performance and those for improvement. The rating mechanism is aimed to promote better driving habits, such as driving at or below speed limits and accelerating moderately. A lower driving score may affect the driver's car insurance renewal premium. ePROTECT sMiles is available for application online with a safe and secure on boarding process, limited to the first 100 applicants.  For more information, visit the Etiqa website. With such ultra low mileage, John might be better off taking Grab and / or Uber to his destinations, and save a massive amount annually.